A little something® jewelry is a distinctive collection of necklaces and earrings with artisan flair. The one-of-a-kind adornments are an exclusive mix of carefully crafted Deux-coupage™ and lampwork glass, all handmade by artist Sonya M. Fitzmaurice. Each piece is limited in quantity and rich in quality. A little something® jewelry bears a truly individual look. The collection conveys a brilliant statement of style for the discerning woman who values individuality. Jewelry lovers are invited to banish boring and collect compliments by wearing these exceptional treasures that beautify and bestow a lasting impression. Like life itself, the craft is personal. Past and present artfully combine to strike a balance. All the jewelry details are vital and create magic. A little something jewelry can always be personally commissioned, and collaboration opportunities abound. Wholesale orders and stockists welcome. Connect for more details. Why not enjoy a little something inspiring each day? This online Journal includes a bevy of the latest in local cultural events, creative crafts, easy recipes for delicious cuisine, and marvelous details from the world of couture. Sit back, relax, and peruse. 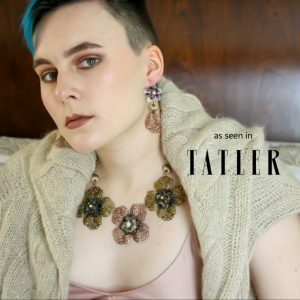 Fashion aficionados and curious consumers will discover a unique assemblage of concept boards from this jewelry designer’s viewpoint. The Spotlight is on seasonal trends, tendencies, and color connections creatively converging from the world of art, runway, and retail. What’s new in the design studio? Join Instagram to find original images of inspiration and works in progress captured in close-ups highlighting the artisan jewelry process. 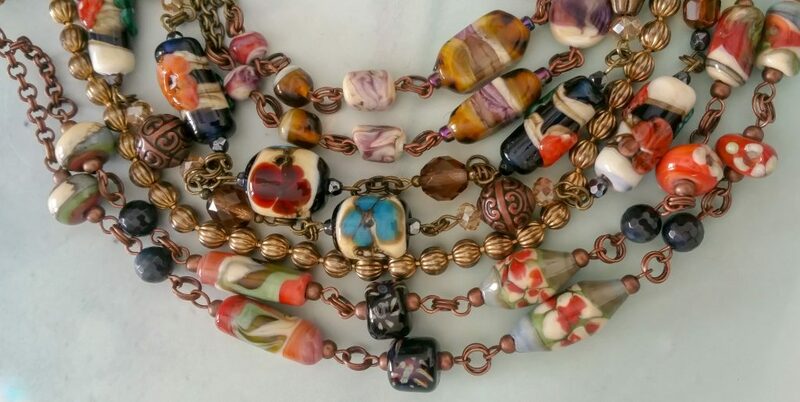 Follow the handmade escapades of A little something jewelry amid lampwork beads and Deux-coupage™ craft.